No profession is big or small enough to be ridiculed/rebuked or mocked at, and any career which a person chooses for himself should be regarded with respect. One should never look down upon someone who loves his job no matter how small or big it is. Everything that is done with great passion & love has a far-fetched result. You will never regret after working hard for sure because your struggles pay off if not now then maybe later. Deep down within heart we also feel cherished and relaxed that yes we did something good, and it will turn out fine. I have seen people doing their jobs carelessly just because they never wanted this job for themselves in the very first place. Due to the society’s pressure or some unknown reasons they become unable to perform and produce. Parents also have a role to play in this regard, they should give their children a free will to choose their academic lines and the career they like to choose. Because only then they will be able to do their best and will be liable to give their 100% in it. Designers and artists are immense in number, they not only give us surprises with their creations but also work like steppingstones for the generations to come. Their world of imagination and ideas are different from a layman’s view because they have something to offer which is beyond the world of reality, however they believe in practicality more. Designers have tons of pursuits to do on their daily basis and for that matter they keep on experimenting with new techniques, new colors and inventory ideas to put forward a great design piece. It takes a lot of energy to fulfil the due, so many rejections and denials, rewards and appreciation, day and night strife & what not that comes in way of challenging tasks and yes a designer does his best job to meet the desire end. Let’s talk about today’s freebie that we have for you. 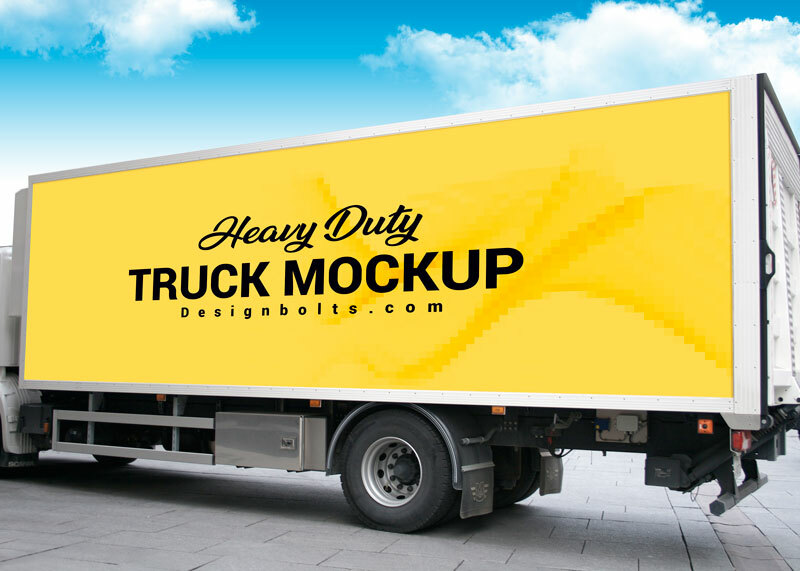 Down here I am putting forward a free heavy truck branding mockup that can be used for commercial and personal projects. Insert in the design elements that you want and it is going to serve a good deal. For some amazing and interesting piece of art and design, stay tuned to the blog. Here we go.